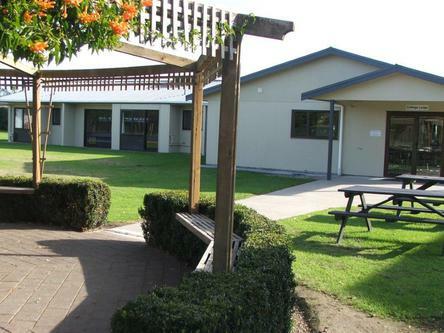 It can be a hassle finding accommodation for large groups, but at Pacific Park we make it easy. The Collings Lodge is ideal for seminars, retreats, school, sports or church groups, or just several families having a holiday together. Collings Lodge features eight bedrooms, each sleeping four people, and a fully-equipped caterer’s kitchen including commercial dishwasher. For more information about group bookings and catering options, click here. It can be a hassle finding accommodation for large groups, but at Pacific Park we make it easy. 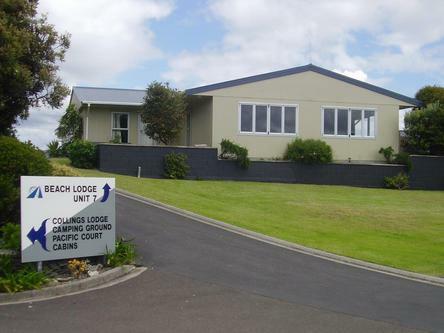 The Beach Lodge is ideal for seminars, retreats, school, sports or church groups, or just several families having a holiday together. Beach Lodge features six bedrooms and a fully-equipped caterer’s kitchen including commercial dishwasher. For more information about group bookings and catering options, click here.